IN MOST NATIONAL LEAGUES, the name of the trophy given to the player who scores the most goals is simplistic and self-explanatory. England’s Golden Boot, Italy’s Capocannoniere – literally ‘Top Gunner’- Turkey’s Gol Krallığı (Goal King) and so on. However, this is not the case with the title bestowed upon La Liga’s top goalscorer, as its award is named after a man called Rafael Moreno Aranzadi, better known as ‘Pichichi’. Rafael Moreno, later to become more widely known for his nickname, was born in the Bilbao neighbourhood of Casco Viejo on 23 May 1892. 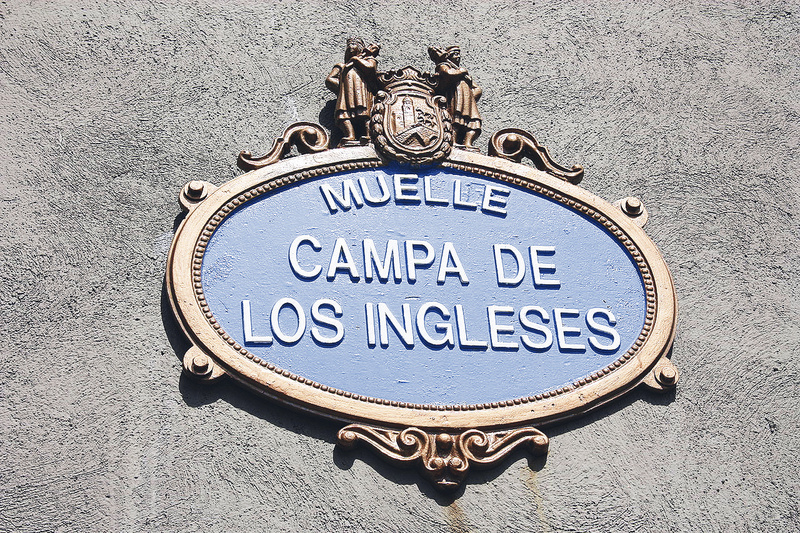 Coming from a wealthy and well-known family, his father was a lawyer, who at one point also served as the mayor of the city, and his mother was related to Miguel de Unamuno, one of the city’s most renowned wordsmiths. At the time of his childhood, football was still something of a novelty to the Bilbaínos, having only arrived in the city a couple of decades beforehand, but a young Pichichi fell madly in love with the new game. 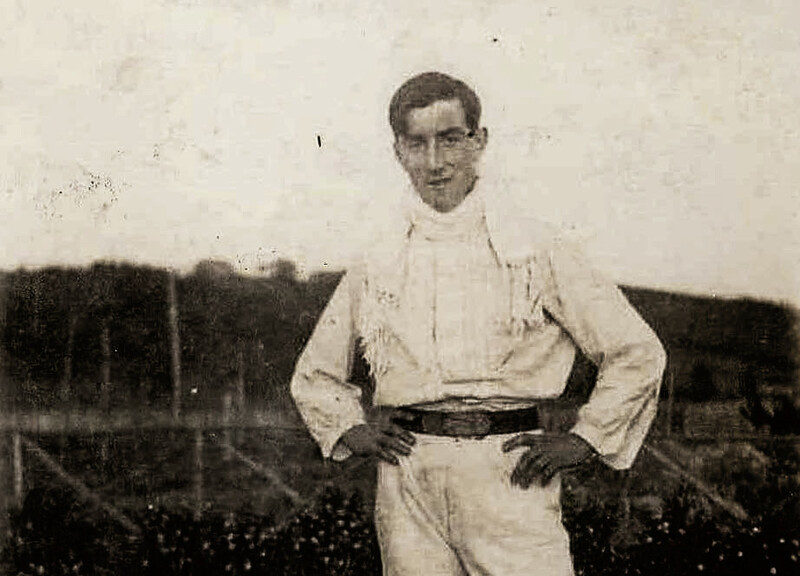 His illustrious family attempted to steer him away from the sport and pressured him to persevere with his education, but even as a child, it must have been obvious that a life of academia was not the one for Rafael. His teachers at school branded him mischievous and naughty, and he dropped out of university after the first year when he failed to pass a single exam. Unfortunately for his family, football was this young Basque’s main priority. There are several different theories as to the origins of his iconic nickname, which is a derivation of a Basque term of endearment in reference to his slight stature – he grew to be only five foot one inch tall – that roughly translates as ‘Little Ducky’ or ‘Little Chick’. Some believe that his nickname was given to him by the older kids he played football with in Casco Viejo’s rain-sodden back alleys and Bilbao’s primitive football pitches. Others speculate that it came from the cheers of his adoring fans who would turn up week after week to watch the young dynamo rip opposition defences apart at La Campa de Los Ingleses. More say he didn’t gain his notorious name until he joined his boyhood team Athletic Club, where he was given it by his older teammates. Theories about his nickname aside, what was known was that he was a footballing genius. In a time when football was a brutal and physical sport, a young man who was just over five feet tall had an entire city eulogising over his supreme dribbling skills and his superior finishing. It didn’t take long for his hometown team to hear about the little man who was taking La Campa and other such places by storm, and in 1911 a 19-year-old Pichichi joined Athletic Club. 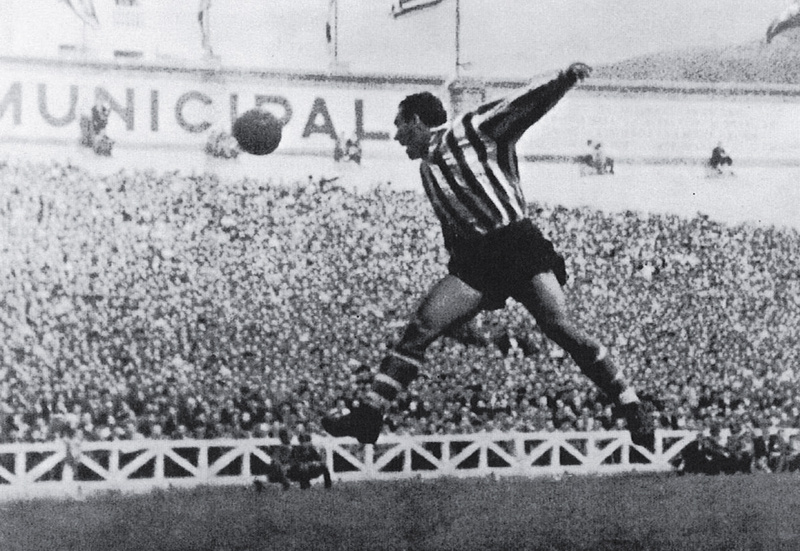 Pichichi’s full debut for Athletic came two years later against Real Madrid in the semi-final of the Copa del Rey. Athletic won the match 3-0 with Pichichi bagging his first senior goal in the process. His next major feat came in August of the same year when he scored the first-ever goal at Athletic’s new, purpose-built San Mamés stadium in a 2-1 victory over Basque rivals Real Unión de Irún. The player, easily recognisable thanks to the white bandana he wore during matches, would go on to become an absolute phenomenon for the Bilbao-based side. Over the next eight years of his career he led Athletic to the top of Spanish domestic football as they won four Copa del Rey trophies – even scoring a hat-trick against Espanyol in the 1915 final – and five Campeonato Regional Vizcaíno titles. Throughout his club career, Pichichi scored an incredible 101 goals in 159 games. The inside left-forward has been heralded by many as by far the greatest player of his generation, and in the 1910s he was the most desired player in Europe with offers reportedly coming from all over the continent, but he always refused to leave his beloved Athletic. Pichichi was also fortunate enough to have played for the first ever Spanish national side. It was formed for the 1920 Olympics, and although he wasn’t his usual prolific self, he still managed to play a starring role in the campaign, playing five times and scoring once as Spain won the silver medal. Whilst it may not seem like a lot of caps, it must be noted that international matches were not the norm at that time and these were the only games which a Spanish national side participated in for the entirety of his career, meaning Pichichi had a 100 percent starting record for his nation. He was Spain’s first football superstar, a huge celebrity who didn’t shun the limelight. He thrived on the pressure, and revelled in the adulation of his supporters. But this did come with its drawbacks. In a manner not too dissimilar to some modern-day messiahs, Pichichi was accused of playing for himself and having an over-inflated ego. When he returned from the Olympics his star started to wane and the San Mamés crowd was quick to turn on its hero, blaming his arrogance and a perceived passiveness for every loss. Often the Athletic supporters would turn their backs to Pichichi when he received the ball, or they would outright chant for his retirement. Eventually, the bad blood between Rafael Moreno and fans of Athletic came to a boil, and he complied with their request. At the age of 29 he retired from football completely. Perhaps he did it out of spite, or more likely he was simply just sick of enduring the jeers from fans who had once idolised him. Maybe Pichichi even recognised some truths in the fans’ complaints and realised it would be better to retire on top as opposed to living a slow and demoralising decline to the bottom. His playing career had ended but his love for the game never lessened. Pichichi decided to stay involved with football by becoming a referee. He even made his refereeing debut at the San Mamés, something that would be inconceivable in this day and age. In terms of his playing style, it was said that Pichichi could beat another man with consummate ease thanks to his dribbling ability. In an interview that can be found on YouTube, his former teammate Seve Zuazo describes how Pichichi would only go forward once the ball was in his possession, “never to the sides and never towards his own goal”. The national press nicknamed him the ‘Rey of Shoot’ due to his goalscoring prowess and, in spite of his lack of height, he was supposedly a fantastic header of the ball. His excellent movement and reading of the game would often provide him with chances to score with his head. Unfortunately, on 1 March 1922, just a few months short of his 30th birthday, Pichichi’s life was cut short. He had succumbed to a sudden bout of typhus, supposedly the result of ingesting contaminated oysters. Pichichi left behind a wife and daughter, and a city in grief. The fans who had booed the man during his final years as a player were devastated at his loss and instantly regretted the manner in which they had treated their hero. In 1926, as a mark of respect to the football club’s first hero, Athletic commissioned a bust of the player to be made in order become a part of the stadium. Ever since, first-time visiting clubs are asked to pay their respects to the spirit of Pichichi by having their captain lay a bouquet of flowers by his statue. The bust remains in the stadium to this day, having been moved only three times since its erection. After the construction of the new San Mamés the bust was placed by the entrance of the player’s tunnel and the tradition of offering flowers is still maintained. 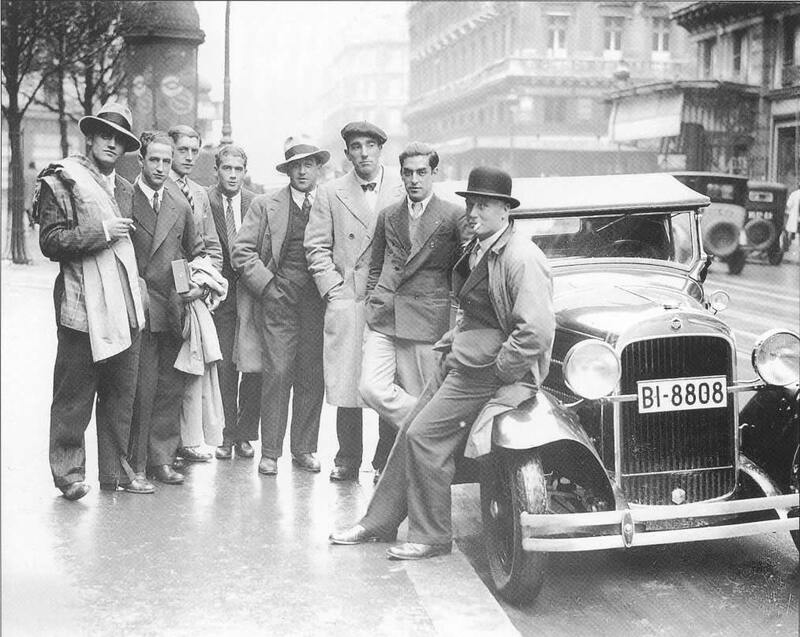 In the early 1950s, journalists of Marca magazine petitioned the Spanish government in the hope that they would allow the Spanish Football Federation to create two awards given for outstanding playing achievements in La Liga: one for the goalkeeper who conceded the fewest goals and another for the player who scored the most. In 1953, the government authorised the request. The annual recipient of the trophy for the most goals scored has changed multiple times since – Telmo Zarra, Hugo Sánchez, Alfredo Di Stéfano and Lionel Messi are just a number of the magnificent footballers to have won the honour – but the name of the award remains unchanged: Trofeo Pichichi.